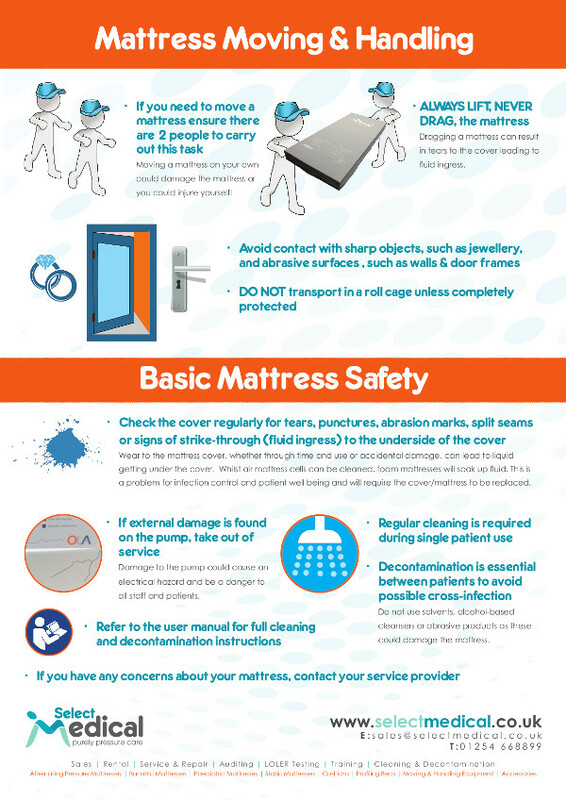 We’ve created a new poster on mattress moving and handling and basic mattress safety and it’s available to order free of charge. This is the latest poster in our series of free resources we’re offering to care and nursing homes. At Select Medical we’re guided by our C3 philosophy where we strive to make the lives of the cared for, carer and care provider better. These posters, along with our ‘Who’s at Risk of Developing a Pressure Ulcer’ have been designed to help care home staff in their daily jobs, as well as raise awareness of pressure ulcers and the impact on the cared for. Theses FREE A3 posters can be ordered (up to 2 copies of each) using the form below or by giving us a call on 01254 668899. If you require more than 2 posters please just give us a call to arrange your order. How many Pocket Sized 'Vulnerable Areas for Pressure Ulcers' Cards do you require? How many 'Troubleshooting Tips' posters do you require? How many 'Mattress Moving & Handling' posters do you require? 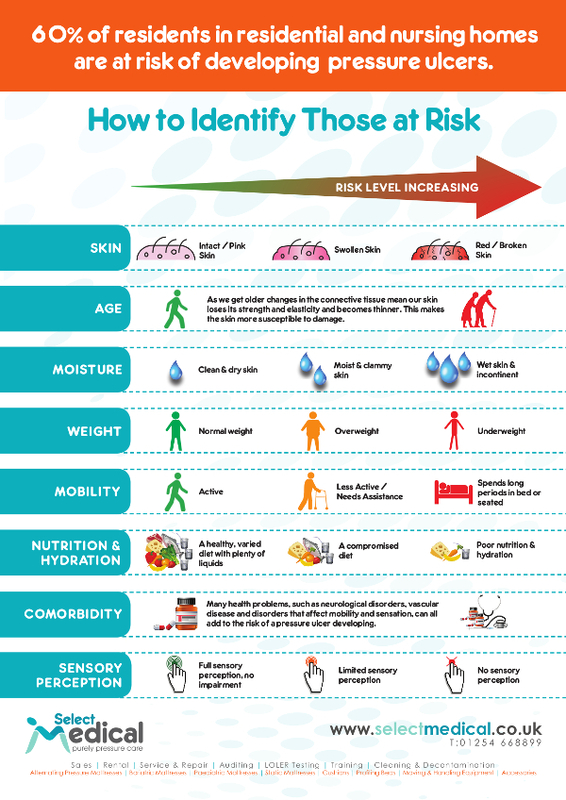 How many 'Identifying those At Risk' posters do you require? Suggestions: Do you have any ideas for resources related to pressure care that would help you in your job? If so, please let us know as we may be able to develop these for you.